Hi everyone! We are excited to say that until the end of June you can vote for the 64th Scout Group in the Tesco Bags of Help scheme to help us secure funding for more exciting camps and activities. 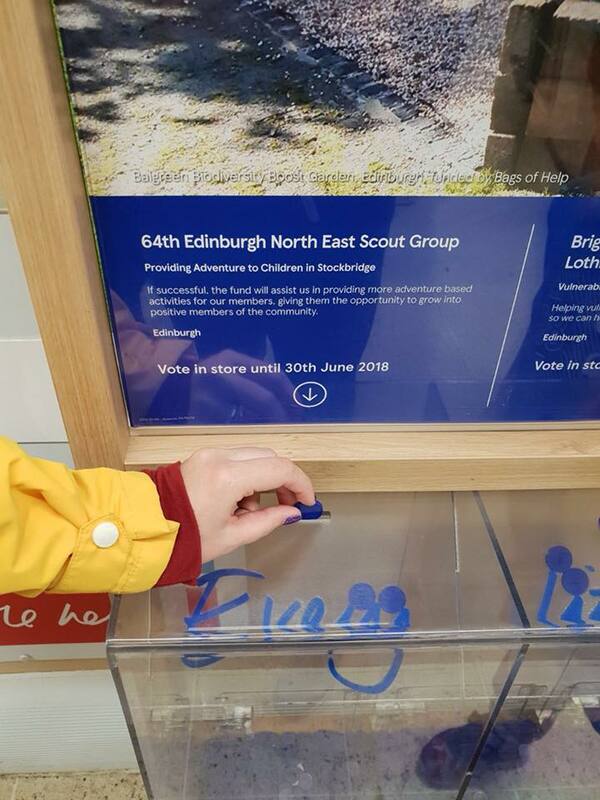 Visit your local Tesco to cast your vote in any city centre or new town store now. Emma Finch, GSL, 64th ENE Scout Group.